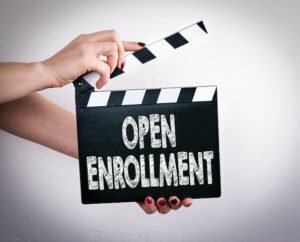 Wednesday, Nov. 1, of course marks the beginning of the 2018 health insurance Open Enrollment Period (OEP), which this year lasts just 45 days in most states compared to 90 days in previous years. Approximately 20 million people are expected to shop for health insurance during during OEP, which runs from Nov. 1-Dec. 15 in all the federally run exchange states as well as Maryland, Idaho and Vermont. In California, New York and Washington D.C., OEP starts Nov. 1 but has been extended until Jan. 31, 2018. Colorado (Nov. 1-Jan. 12), Connecticut (Nov. 1-Dec. 22), Massachusetts (Nov. 1-Jan. 23), Minnesota (Nov. 1-Jan. 14), Rhode Island (Nov. 1-Dec. 31) and Washington (Nov. 1-Jan. 15) have also extended the OEP. While OEP is getting a fair amount of mainstream media attention, a lot of Americans will still be unaware of the abbreviated enrollment timeline as the Trump Administration slashed the marketing budget for the ACA by 90%. 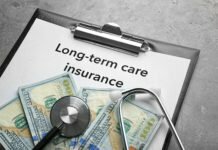 In the wake of this, many states, municipalities, community groups, health insurance carriers and brokers have stepped up their outreach efforts. Minnesota, Colorado and Washington state have committed to heavy advertising budgets for their exchanges. And according to NPR, California’s marketplace will aggressively advertise with a $111 million campaign that has a particular focus on Latino consumers, who represent 38% of Covered California’s potential customer base but only 30% of people who actually enroll. In Texas, which relies on the federal exchange and has the highest number and rate of people without health insurance in the country, cities like Austin are stepping up after the Trump Administration cut the state’s navigator budget by a third. Austin is spending a lot more money this year on marketing, and Travis County’s Central Health (which provides health care for low income residents) is hiring twice as many navigators this year. Also of note, the federal government announced it will be shutting down the healthcare.gov site for 12 hours of maintenance nearly every Sunday during open enrollment. 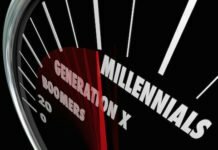 Industry companies that focus on helping consumers enroll in health insurance and other ancillary health insurance products are also stepping up efforts to educate consumers about the important changes and issues of this OEP. HealthCare.com, a privately owned search-and-compare health insurance shopping platform that connects consumers with its network of licensed insurance brokers and insurance carriers, recently sent out a list of six major changes to this year’s OEP in addition to the condensed timeline with insight from the company’s cofounder and CEO, Howard Yeh. Editor’s note: Despite the Trump Administration’s cancellation of federal funds to reimburse insurance companies for CSR subsidies, by ACA law lower-income enrollees will still receive subsidies from insurers to lower their premiums, deductibles and out-of-pocket costs – the insurers are just not being reimbursed by the government at this point (which may change if Congress acts to reinstate the reimbursements). Healthcare.com, with offices in New York City, Miami and Guatemala City, serves the individual health insurance market (offering both ACA and non-ACA plans) and the over-65 health insurance market (offering Medicare Supplement and Medicare Advantage coverage options). 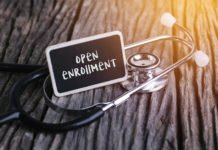 Another company, ACA Marketplace Enrollment Solutions, also made note of the condensed timeframe and reduced federal support in a late October press release that includes insight from Chief Compliance Officer Bob Dial. If a consumer has an outstanding premium balance from their 2017 health plan, the carrier may refuse them new coverage, until that premium is paid. If a consumer has not yet filed their 2016 Federal Tax Return, the consumer may not be eligible for any premium subsidies. 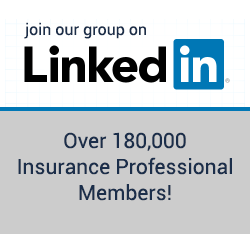 “This year more than ever, it will be important for consumers to work with a knowledgeable, licensed and certified professional that will work to understand their individual health needs, ensure they are in a plan and with a network that meets their provider needs, calculates the cost for their insurance, including obtaining any premium subsidies available for the consumer, which will help offset the cost of their annual premium,” Dial said. He further reminded that the rule regarding tax penalties is still in effect. If a consumer who can afford health insurance does not purchase coverage during OEP, they will still be subject to a government fine. The fine for not having a qualified health plan is either $695 or 2.5% of the consumer’s household income, whichever is higher. After OEP ends on December 15, 2017, consumers will not be able to get health coverage through the Marketplace until the next annual OEP, unless they have a qualifying life event. “With the reduced enrollment period, it will be important for consumers not to delay in shopping for their plan and enrolling for coverage. We anticipate a great deal of confusions by consumers, who are used to having more time to enroll for coverage and a rush in December to get enrolled for coverage before the December 15th deadline,” Dial said. Headquartered in Bedford Park, Ill., ACA Marketplace Enrollment Solutions (aka ACAEnroll.com) is a national enrollment firm specializing in the Health Insurance Marketplace as well as variety of other ancillary health insurance products, including Dental, Critical Illness, Short Term Medical, and others. As a licensed health insurance agent in my state I have been against the whole idea of “navigators”. My state requires a lot of time, effort, and money to get and maintain a health insurance agent license. Untrained navigators only had enough knowledge to be dangerous and were basically taking food off my table. Our former President only used the navigator program as a slush fund to repay liberal organizations a ridiculous amount of money, for the limited number of folks they actually helped, as political payback for their help during his campaigns… Thank goodness OUR President unfunded them!